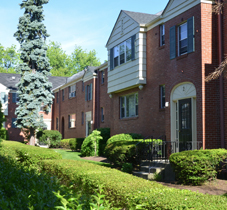 Located in a very convenient – yet quiet – area of Amherst NY, the Delta Garden Apartments are within walking distance of the area’s best shopping and retail – the Boulevard Mall, Tops and Wegmans Supermarkets, Whole Foods, BJ's Wholesale and LA Fitness. Approximately 1 mile from the State University of New York at Buffalo Amherst (north) campus and 1 mile from the State University of New York at Buffalo South campus, we are also close to the major expressways, and the New York State Thruway/I-90 and minutes from Downtown Buffalo. Our pet-friendly community includes 124 two bedroom and 36 one bedroom apartments. Our staff includes management and maintenance personnel that have been with us for many years. They are friendly, well-trained, experienced and waiting to assist you in making our community a place you will call home.